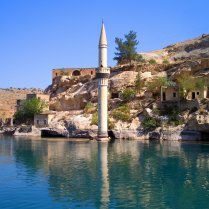 Take a tour of the Sanliurfa region with tours stopping at amazing ancient destinations of Rumkale, the partially submerged town of Halfeti. Visit the bird sanctuary where the population of Bald Ibis has been brought back through care and devotion. You begin your tour at the Bald Ibis Sanctuary. This sanctuary offers a wonderful home for these birds who numbers dwindled, the efforts of this shelter have managed to raise their numbers to over 100 breeding pairs allowing these ancient birds a chance to continue to grow their population. 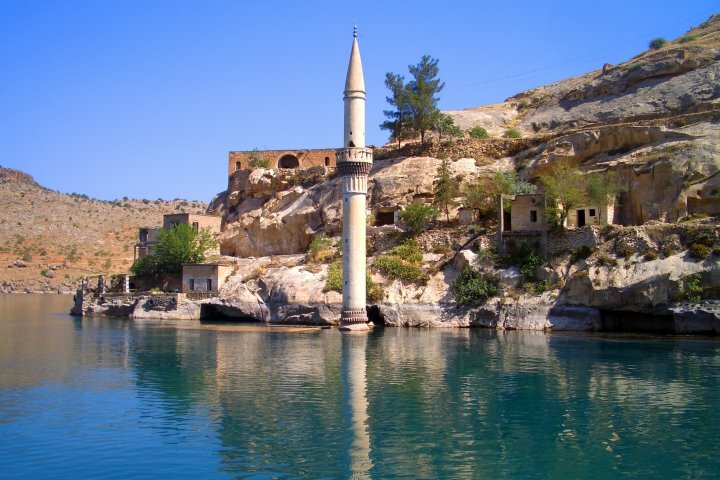 After your time visiting these unusual birds you will head to the town of Halfeti, this town offers an ancient air with part of the town partially submerged. From the harbour, many chose to take a tour of the modern lake that was created by the damn. While cruising many will visit the wonderful sights of a town piercing the surface of the water. You will enjoy a traditional Turkish lunch in the early afternoon. Followed by a boat tour that departs for Rumkale. 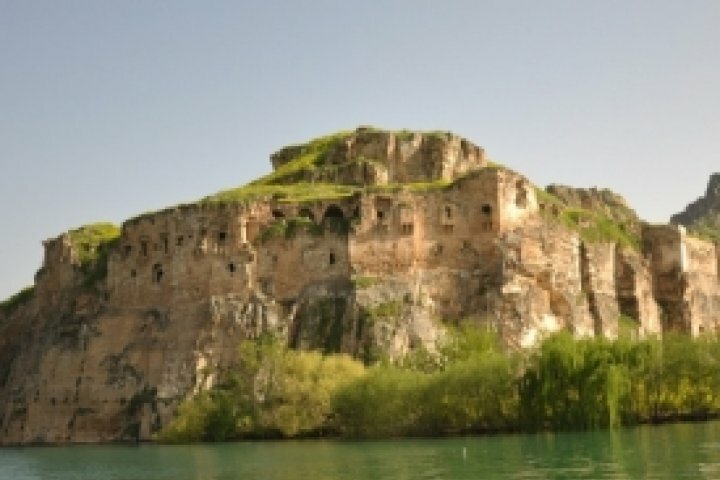 As you cruise you will come to an ancient castle city of Hromla now surrounded by water that the dam stopped the water travelling elsewhere. Originally it was a strategically important location for the Assyrians. 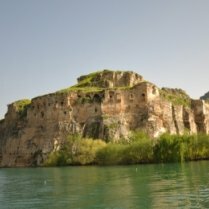 The city is considered unique and sacred due to copied of the new testaments and hid them within the castle walls. Nearby you can a church which was devoted to Saint Nerse after serving as Patriarch for the Armenia peoples in the 12th century.